Passionate About Sports? You'll Love Coaching in Fiji! 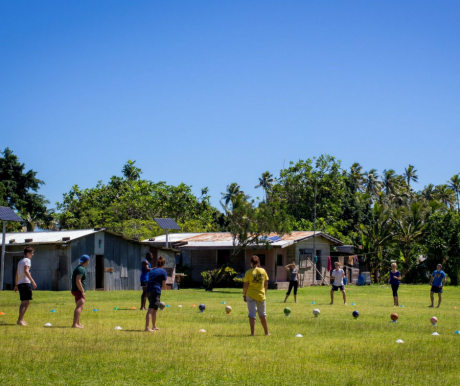 Join a team and make a huge difference in the rural schools of Fiji by coaching sports. You will lead grass roots sports coaching sessions each day as we organise PE lessons in the primary schools as well as visiting more remote communities to lead ‘sports outreach clinics’ and even helping to establish leagues, inter-school competitions and an end of project sports day. With no PE within the school curriculum in Fiji, our projects are in direct partnership with the Fijian Ministry of Youth and Sport and the Fiji National Sports Commission. We work in some of the poorest areas and most disadvantaged schools to introduce the first ever sports equipment and practices. Whatever your sporting interest, we’d love to include this in our daily coaching sessions. 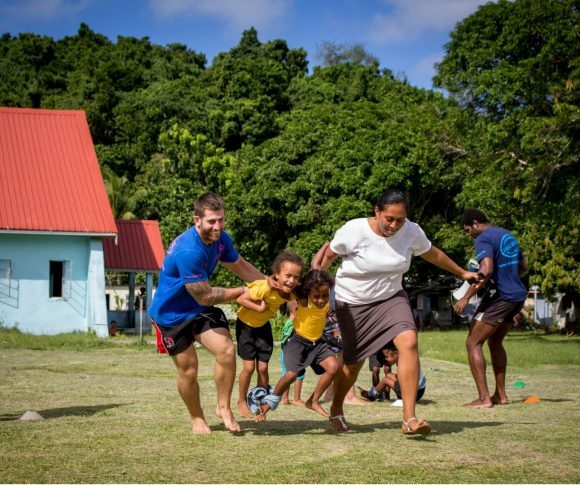 Could You be a Sports Coach in Fiji? 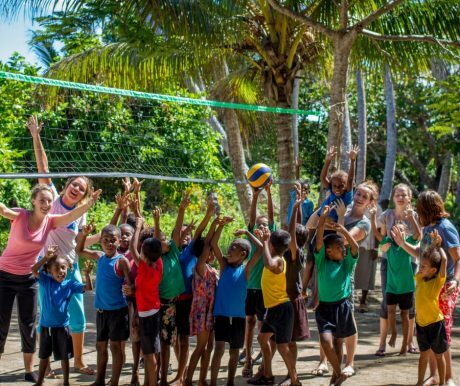 Watch our video and see how you could make a difference through sport and what our volunteers thought of playing and coaching different sports in Fiji. In a country where sport can lift and unite the nation, many of the most talented players are never discovered. For children living in rural villages, your coaching assistance will provide the chance to learn sporting skills for the first time. Whatever your sporting interest, let us know and we can use your skills to make the best impact to sports development in the rural communities. The aim is to introduce Fijian children to a whole host of sports, during daily PE lessons and after school clubs. Many of these sports are being introduced to the children for the first time. We provide the equipment to develop Rugby, Football, Netball, Hockey, Rounders, Volleyball, Cricket, Athletics and much more. Fijian sport, especially at youth level, longs for some organisation, structure and the introduction of basic equipment. Bring your experiences and match the children’s enthusiasm to learn, run around and have fun. Organise inter school fixtures and coach children’s teams to tournaments. In a country where sport can lift and unite the nation, many of the most talented players are never discovered. For children living in rural villages, your coaching assistance will provide the chance to learn sporting skills for the first time.What ever your sporting interest, let us know and we can use your skills to make the best impact to sports development in the rural communities. A truly incredible, heartwarming and rewarding experience. The Fijian family I stayed with were so welcoming and friendly, allowing me to experience the Fijian way of life from cooking to traditional crafts and even coconut husking! The TP leaders live in the same village as you which is great as support is there 24/7, one of several reasons why I chose to go with TP. The project gave us the opportunity to teach in two local primary schools across various year groups. 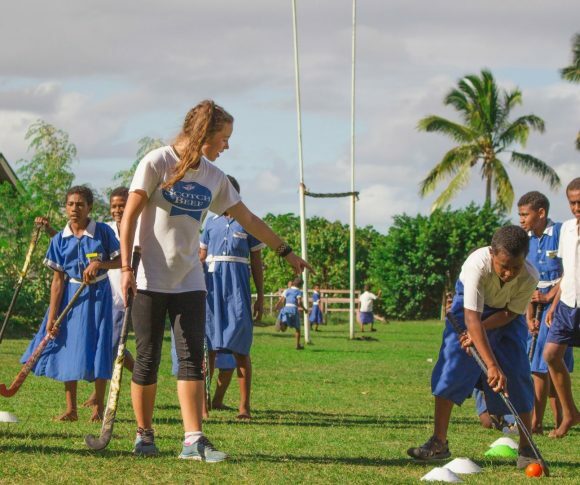 I especially enjoyed teaching lacrosse as this was a completely new and exciting sport for the children and am so grateful for TP arranging lacrosse sticks to be sent all the way to Fiji so I could do this! I wish I could do the project all over again. Deliver the very 1st sports coaching session to communities more remote than the one you are staying in. Coach a variety of sports as the children participate in their favourite part of the day. Prepare your school team to face the surrounding competition from neighbouring schools. The buzz and excitement around these games is incredible. House Sports Day remains one of the biggest competitions in the House Cup with the classic 3 legged race, always being a highlight. Our projects are in direct partnership with the Fijian Ministry of Youth and Sport and the Fiji National Sports Commission, which allows us to work in some of the most disadvantaged schools, introducing the first ever sports equipment and practices. The big island rugby and netball matches create a huge buzz and a carnival atmosphere on the island! Granting you the opportunity to pitch your skills against local village teams or represent your island in major competitive games. Our sports initiatives don’t just end with the massive impact you make through coaching children. If you enjoy playing good level sports yourself then you will fall in love with Fijian life very quickly! Fijians are passionate about sport and each day there will games and training especially in rugby and netball. Aside from the competitive sports matches, fun games of volleyball, rounders, football and other sports and activities are played in the afternoons in the community and are a fabulous and fun way to end a big day of project! 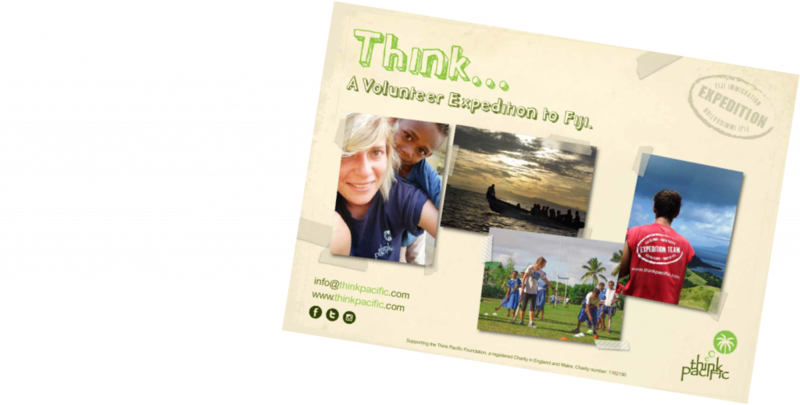 Does coaching sport in the rural communities of Fiji sound like the perfect project for you?